I find buying cards quite a stressful experience. Cards for relatives tend to be very stereotyped – if the men in your life don’t like golf, you’re stuffed! It’s so nice to avoid that and do something more personal. You could quite easily repurpose flowers from an old card to make something like this. I try not to worry if it turns out a little rustic – that’s the beauty of something handmade! That’s the card sorted, now on to the gift. Crochet hook at the ready! 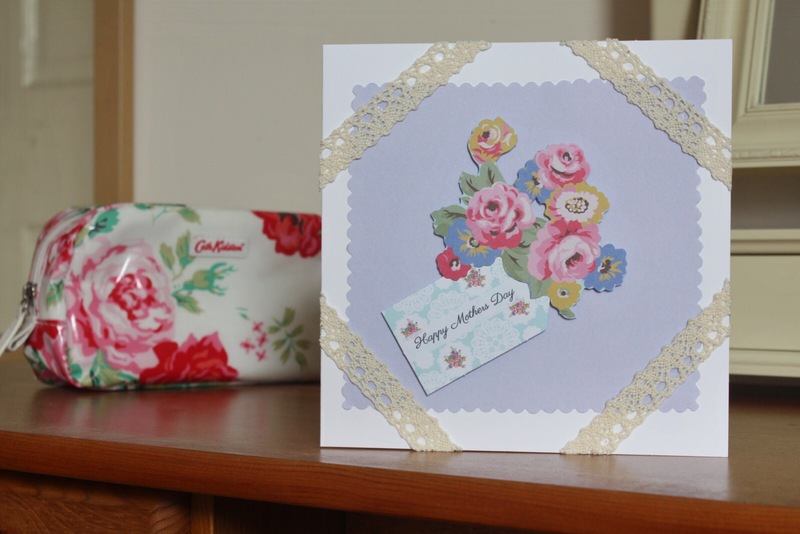 Will you be making something for Mother’s Day?